Undoubtedly one of the most recognisable names in the history of British Athletics, Seb Coe has the 1977 European Indoor Championships in San Sebastian to thank for launching his nascent track career. Coe arrived in the city of his namesake as holder of the UK national record – a time of 1:47.5 – one that he would soon take great pleasure in continually editing. But despite his young promise, Coe’s first race in Spain betrayed nothing of the superstar middle-distance runner that he was quickly to become. Winning heat 4 in what was a slow race, Coe qualified for the semi-finals with just the 10th fastest time, nearly a full two seconds behind Spain’s Antonio Paez. Come the semis, however, he had stepped up a gear, chopping those seconds off his heat time to make the final with ease. And this was a pattern that the then 20-year-old Coe had no desire of ending as he lined up for the final. Straight out of the blocks his intentions were clear as he streaked into an early lead, putting clear daylight between himself and the chasing pack. And whilst it may have looked as though his approach was a touch gung-ho, a tad naïve, Coe quickly proved any doubters wrong. Clocking 51.4 seconds at the 400m metre mark, he only continued to extend his lead in what was shaping up to be a particularly fast race. And just as the German Erwin Gohlke looked to be closing the gap coming round the final bend, Coe found one last kick to carry him to victory. It was Gohlke who faded as the Brit wrapped up the gold, racing only against the clock in the closing stretch. And even that was a race that Coe won, clocking a time of 1:46.5 – obliterating his own British record and coming agonisingly close to becoming the world’s fastest 800m runner indoors. But that was to come – this was merely the start of a richly decorated career in athletics that famously included two 1500m Olympic golds, two 800m silvers and a plethora of other titles. 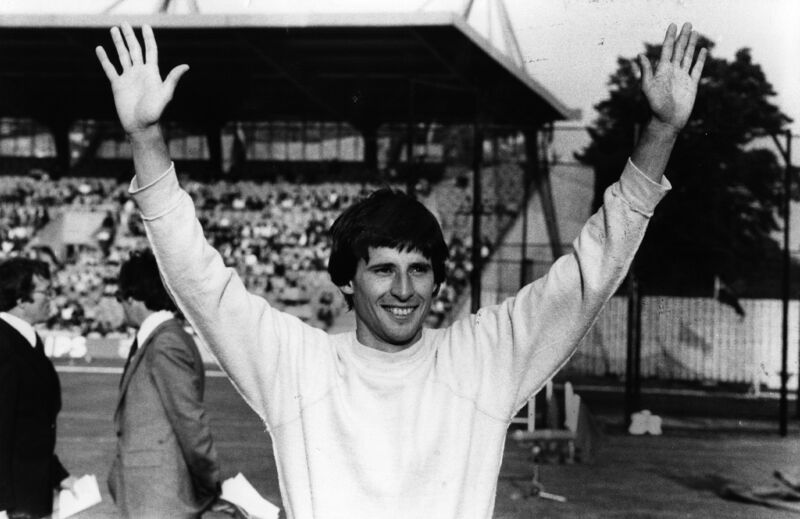 As for that world record, it fell – albeit outdoors – two years later in Oslo, and was broken again in 1981 by the very same athlete: the man who is today President of the IAAF – Seb Coe.